Your eyes – and the lovely fringe of lashes that surround them – are so important. And they deserve to be protected and pampered. Allowing makeup filled with irritating and toxic ingredients to come into regular contact with your eyes and eyelashes is like waging war on the very features you hope to enhance. Especially if your eyelashes are falling out and in need of TLC, the last thing you want to do is smother them with harsh ingredients. The unfortunate truth is that many mascara brands still contain irritants and toxins like parabens and even mercury that do more long-term harm to your eyes than any short-term good you can derive from it. If your lashes are already in a fragile state, you want to go for a mascara that encourages healthy lash growth instead of just covering up short, brittle lashes. Trust me when I say that I love eye makeup as much as the next girl. I mean, nothing makes my eyes come alive like a lovely eye liner coupled with a lengthening, volumizing mascara. But over the years, I’ve grown more and more repulsed by the crazy toxic ingredients found in some of my once-favorite mascara brands. And in my search for all-natural – preferably organic – mascaras, I found out the hard way that many of them are simply not as effective as the mainstream (and often toxic) mascaras. But many does not mean all. After months of failed mascara experiments and several dozen tubes of mascara, I’ve managed to find five natural mascaras that actually work. By work, I mean: lengthens – really lengthens – while providing tons of volume. I was also looking for mascaras that were long-lasting (preferably the whole day) and didn’t clump too much. And I wanted it to be totally, 100% natural. Yes, those are some stringent requirements but hey, a girl’s gotta have standards. So…you might be wondering whether I managed to find 100% natural mascaras that fit my requirements. Well, the answer is both yes and no. 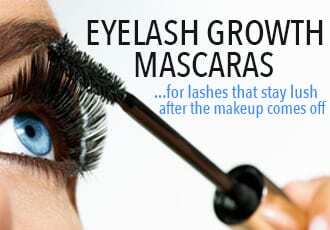 To expand on my answer, I did find some great performing mascaras that are 100% natural. 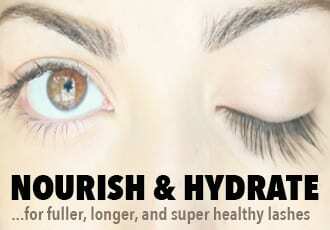 These 100% natural mascaras do a great job of lengthening and defining my lashes. But 100% natural mascaras tend to fall a little short in the va-va-voom department – meaning that they’re perfect for everyday wear but not the ideal candidate for when I really want my eyelashes to pop. That’s why I’m listing 3 of the best natural mascaras – two of them are 100% natural and I highly, highly recommend these for everyday wear. But one of the below mascaras is mostly natural – it offers a great alternative to highly irritating and toxic mascara brands while also giving your lashes the same sort of extreme volume and length we rely on mascaras to provide. So, without further ado – here’s a little list of the top 3 best natural mascaras that lengthen and strength, give fullness and nourishment. I’ve included my thoughts on each of the below natural mascaras, as well as the ingredients list. Hopefully, you’ll find the perfect natural mascara for you below! Here are my picks for the best natural mascaras, in no particular order. I know I said this list is in no particular order, but this is my favorite natural mascara. I’ve been using 100% Pure’s makeup ever since I switched to natural cosmetics and they never, ever disappoint (except for foundation, but I have a hard color to match and that’s a story for another day). Anyway, this mascara is 100% natural, 100% vegetarian and actually works like a charm. Oh, and did I mention it smells heavenly…like blueberries (take that, synthetic parfums!). Oh, and unlike other natural mascaras – 100% Pure’s mascara is actually affordable (at $15 a tube). As for what it does…well, this mascara is a great lengthener. I find that it gives a very “defined” look for each eyelash since it tends to separate your lashes well. There is no clumping to speak of. It lacks a little in the “plumpness” department, especially if you’re used to using thick mascaras, but what I really love about this mascara is that it’s chock full of nourishing ingredients that do their part to plump and fill out your natural eyelashes. What you should know about this mascara is that – contrary to their claim – it is not smudge-free. It does smudge – that is one downside of all natural ingredients. That being said, the smudging is ridiculously easy to remove. I just go to the bathroom, dab one drop of water on my finger and wipe the smudge off. It rarely happens unless I wear it while exercising. I think this is the best natural mascara for volume and plumping. I like to apply it twice – waiting for the first layer to dry a bit – and the result is pretty fantastic, voluminous lashes. It also doesn’t clump and hardly ever smudges (unless you’re prone to crying or sweating profusely) – a huge plus considering it’s 100% from natural ingredients. I particularly like this one ’cause you can find it pretty much anywhere – it’s been in every drug store I’ve looked for it in. For this reason, this is the best natural mascara to start out with if you’ve never used an all natural mascara and want a convenient-to-pick-up option to try out. Plus, for a mascara that’s totally natural and free of any synthetic preservatives, parabens, and dyes – it’s also affordable, at $15 a tube. Ingredient List: Citrus Aurantium Dulcis (Orange) Fruit Water *, Glycerin, Iron Oxides, Microcrystalline Cellulose, Glyceryl Stearate SE, Water, Lactobacillus Bulgaricus Ferment Filtrate, Beeswax *, Jojoba Esters, Copernicia Cerifera (Carnauba) Wax *, Tapioca Starch *, Stearic Acid, Glyceryl Caprylate, Aloe Barbadensis Leaf Juice *, Cellulose Gum, Cucumis Sativus (Cucumber) Fruit Extract *, Glycine Soja (Soybean) Oil *, Hydrolyzed Oryza Sativa (Rice) Protein, Magnesium Aluminum Silicate, Olea Europaea (Olive) Leaf Extract *, Saccharomyces/Copper Ferment, Saccharomyces/Iron Ferment, Saccharomyces/Magnesium Ferment, Saccharomyces/Silicon Ferment, Saccharomyces/Zinc Ferment, Leuconostoc/Aloe Barbadensis Leaf/Sorbus Aucuparia Fruit Ferment Filtrate, Leuconostoc/Radish Root Ferment Filtrate, Populus Tremuloides Bark Extract, Citric Acid May Contain: Titanium Dioxide. Best Natural Mascara #3. Tarte’s Lights, Camera, Lashes! Tarte’s “Lights, Camera, Lashes!” is one of my go-to favorites. I should start by letting you know that this is not a 100% natural mascara – it’s free of petrochemicals, fragrances, parabens, sulfates, and talc (many of the worst offenders) but it’s not free of phenoxyethanol, TEA, or chlorphenesin. 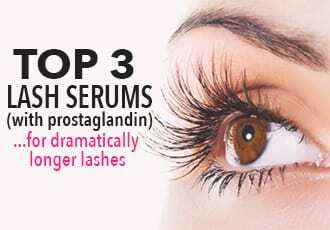 It also has alcohol in its ingredients, which can be irritating for those with sensitive eyes. The reason I won’t give up this particular tube of mascara is because it performs beautifully. 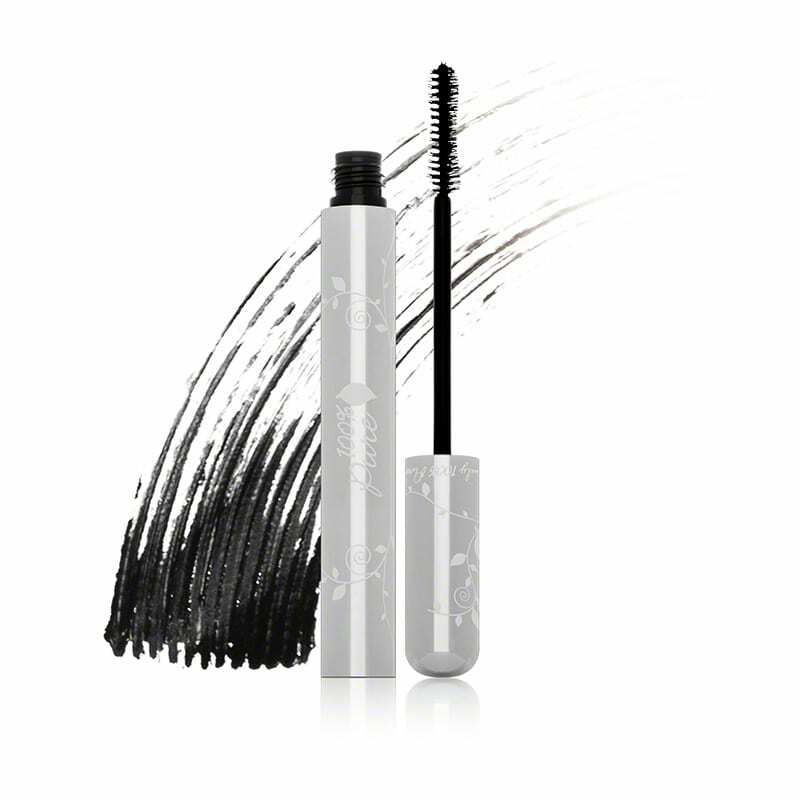 It’s long-lasting, doesn’t clump or flake, and does a great job of both lengthening and volumizing my lashes. Along with Organic Wear’s Jumbo Lash Mascara, Tarte is the best of the natural mascaras for plumper, fuller lashes. I also really like the fact that this mascara contains little lash treats like Provitamin B5 to provide voluminizing action as well as rice bran-based emollients to coat and condition the lashes. It’s slightly on the pricey side – at $18 a tube – but I use it sparingly, pretty much only when I “go out” and I find that it’s worth the extra boost it provides. What’s the Best Mascara for Eyelash Extensions?